The Gus Fisher Gallery has on exhibit contemporary and historical art that focuses on New Zealand and the wider Pacific area. 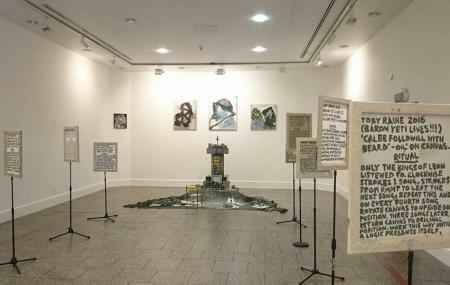 This gallery focuses on the development of postgraduate study in the visual arts, and makes a valuable contribution to cultural heritage and museum studies, both at the University and in the wider community. It also features overseas work relevant to New Zealand. The Gallery is also an active place of education along with being a site for performances, readings and demonstrations. How popular is Gus Fisher Gallery? People normally club together Auckland Domain and Auckland Art Gallery while planning their visit to Gus Fisher Gallery. Awesome Avenue! Want to ask them for my concert bookings! Historical building renovated as gallery and performance art venue.